Construction offers multiple career paths and it can sometimes be quite daunting knowing what trade to choose from. 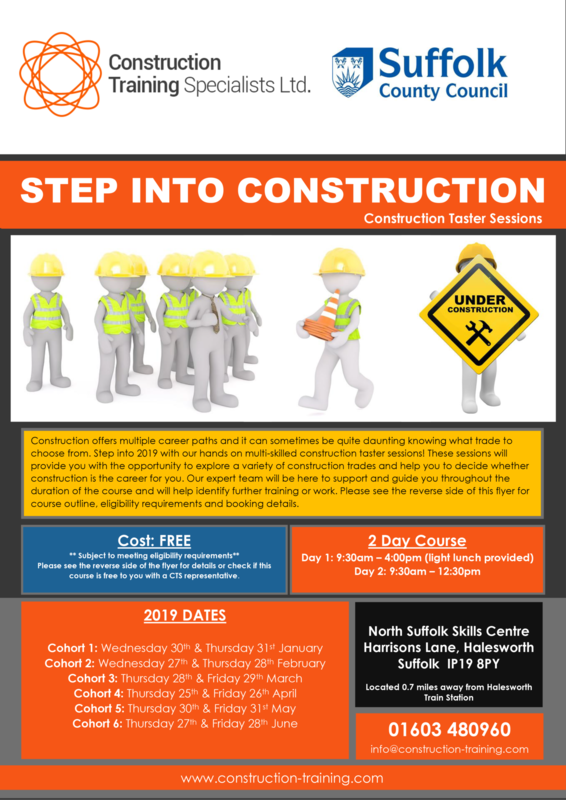 Step into 2019 with our hands on multi-skilled construction taster sessions! 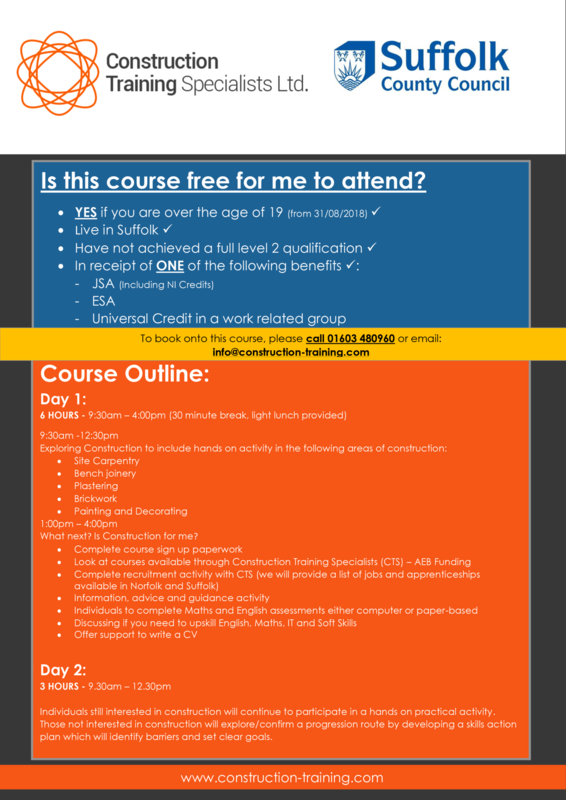 These sessions will provide you with the opportunity to explore a variety of construction trades and help you to decide whether construction is the career for you. Our expert team will be here to support and guide you throughout the duration of the course and will help identify further training or work. Click on the images below or the 'More info' button to see the online-flyer. Supporting information links are provided at the bottom of the page including a map and bus timetables to aid attendees.